SAMAN POS India Pvt Ltd offers high-end infrastructural solutions to residential, industrial and commercial entities. 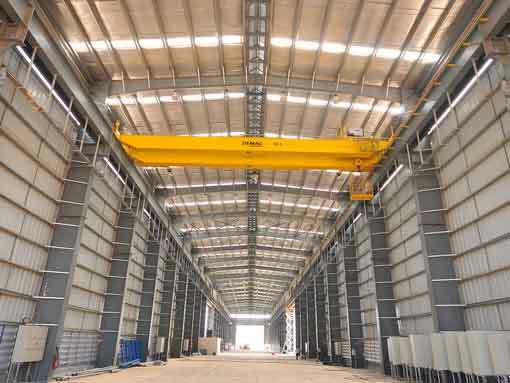 Our industrial structures are sophistically crafted to support house equipment, raw materials, and communicated lines, reducing the cost of construction & installation work of the developers. We are a leading supplier of more than 100 types of industrial structures from a diverse field of communication, transportation, ventilation. Drainage, water supply, gas supply, supportive structures for industrial apparatus, houses and many more. 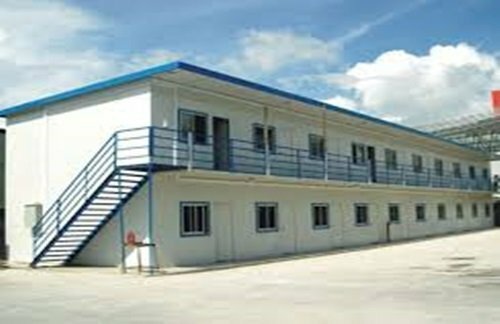 The massive demand for prefabricated buildings has significantly increased as most organizations started recognizing the true potential of prefabricated products. The process of constructing a traditional structure requires an array of preparations and procedures including acquiring a land permit, construction permit, raw material allocation, labors hiring process, construction period and so on. The completion of the above processes might cost you months and even years. SAMAN POS India Pvt Ltd delivers a pre-engineered structure at your onsite location within a few weeks. As all our products are manufactured outside the construction location, you don’t have to invest your time in onsite works. Hence, it leads to faster occupancy and let you realize your revenue much earlier than your estimation. The cost involved in developing a Brick & Mortar structure may cost you your hard-earned money. Furthermore, it won’t allow you to expand your business as you are stuck in one place. 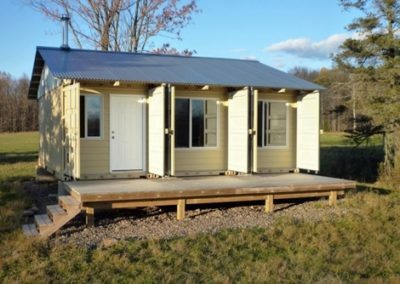 therefore, you need a prefab Industrial building which costs way less and you can transport them anywhere you go. It eradicates all your onsite costs including designing costs, raw materials, workforce costs, etc. All our products come pre-manufactured, allowing a rapid installation within 4-6 days. With more business comes more employee hiring, which demands more operational spaces. With your business growth, you also need to expand your building space as well. If you own a traditional building, the expansion may cost you a hefty amount along with dealing with issues like demolitions, drawing new designs, hiring workers, etc. With our Industrial Structures, you don’t have to go through this. As our prefab parts are easily foldable and easy-to-assemble, you can dismount them from an existing structure or add new structures to it. You can modify your traditional building with our portable buildings. Just tell where you want your new structures and our designing team will draft a customized structure for you. whether you want to add a portable toilet, security cabin or a porta office, we can deliver them as per your requirements. Our pre-engineered industrial structures offer a platform to set your business with our large clear spans. Our large scale clear spans are mostly in demand for agribusinesses, warehouses operations, hangars, and shade shelters, etc. You can store your prominent sized equipment such as combines, modern tractors, farming equipment, etc. It also allows hassle-free maneuvering for employees during warehouse operations. The free spaces can also be used for aircraft movements, horse riding arenas, theatres, school auditoriums and many more. A structure that costs you a fortune in brick & mortar format are available at a significantly lesser cost through SAMAN POS India Pvt Ltd. 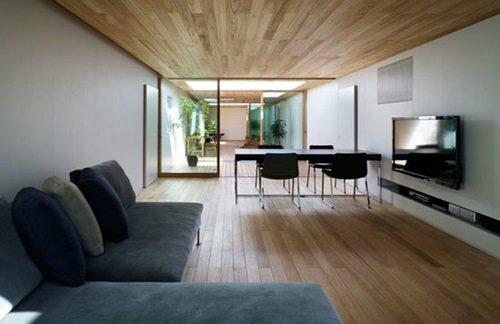 Most of you may don’t know this, but, the quality control process while building a prefab structure undergo through more stringent procedure compared to a traditional building. Since the inception of pre-engineered structures, all manufacturers are strictly instructed to comply with the International Standard of Safety and ensure all conditions are met with the highest degree. It’s not only the legal enforcement but practically prefab buildings are significantly durable, impact proof and safe from traditional buildings. The reason behind its staunch reliability is dedicated to the quality of raw materials and ultra-modern manufacturing techniques. We all have experienced the escalating maintenance rate we have to pay for a property. Owning a traditional building required constant maintenance, whether it’s due to construction error or may be faulty raw materials at disposal. The cost of maintenance although don’t bother large businesses, but MSMEs are deeply affected by them. However, with our Pre-engineered structures, the maintenance costs always remain at a minimum. The credit goes to our procurement team who run an exceptional product-testing process for checking the efficiency of the products. We handpicked those selected materials that pass all our tests and delivers them to our customers, ensuring they live up to their expectations. India is celebrated for its diversity which can also be seen on its climatic conditions. With crackling summer, chilling winter and relentless rain, it’s nearly impossible to establish a structure that could last longer. 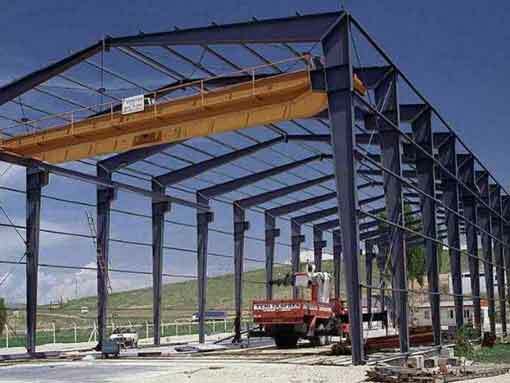 Therefore, at SAMAN POS India Pvt Ltd, we use ACP as the core raw materials of our Industrial structures. When it comes to durability and resistance, ACP tops the chart for its heat resistant and water-resistant properties. Combing ACP with state-of-the-art technologies, we present you an end-product that lasts way more than a standard structure. furthermore, when your business depends on transportation, you have to think of protecting your building from all sort of climatic conditions. Are you looking forward to knowing more about our Industrial Structures? So don’t hesitate to pick up the phone and give us a call. We are always looking forward to helping our clients in the best way possible. We love our clients and we are happy our clients love us too. That’s not possible if we don’t stick to our promises. After all, it’s our honesty and integrity is what made us what we are. At the end of the day, you pay for convenience and quality, and we deliver them to you.